This video shows the best way to use Sugru on rough and porous materials such as unpainted walls, unvarnished wood, and fabric. 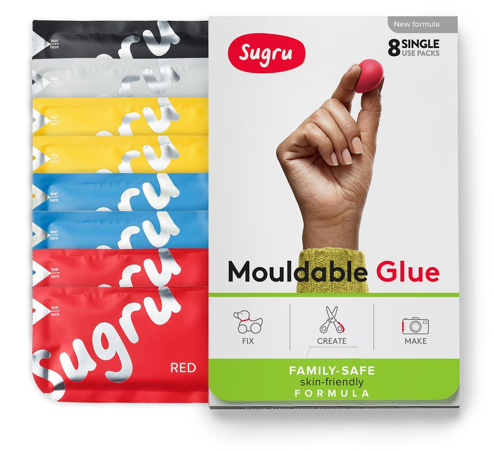 Pinch a pea-sized amount of Sugru and smudge it onto the surface to create a thin base layer. To get a good bond, you really need to work it in. If you want the application to be flexible, only apply a thin layer of Sugru. Otherwise, you can build more Sugru directly onto the base layer as Sugru bonds brilliantly to itself (there&apos;s no need to wait for the base layer to cure before applying more Sugru).